We're 3rd, 4th and 5th generation Illinois farmers (and writers) devoted to sustainable agriculture. In 1898, our great grandparents Herman and Maria Zachgo-Brockman bought their 160 acre farm near Danforth, IL. Three of our siblings are farmers: Henry raises vegetables, Teresa raises fruits and herbs, and Jill raises goats and tends an orchard. My brother Henry, father Herman, sister Teresa, niece Aozora, and I (Terra) all write as time permits. My book, The Seasons on Henry’s Farm, was a finalist for the James Beard Award in literature and writing. We hope you enjoy this glimpse into our farming and writing lives, and invite you to taste some of the fruits of our labors! Henry's Farm has been providing thousands of people with over 600 varieties of great-tasting and nutritious vegetables for over two decades. Teresa's Farms include an acre of aronia berry bushes, and 2 acres of fruits and herbs, plus a greenhouse full of organically-grown plants to start your garden. 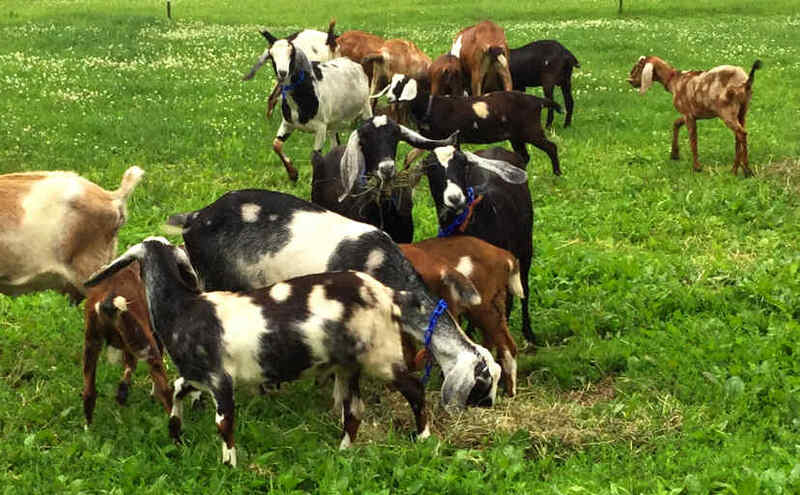 Red Barn Farm is where Jill Brockman-Cummings and her family raise the goats who provide the main ingredient for her pure and gentle goat milk soaps. 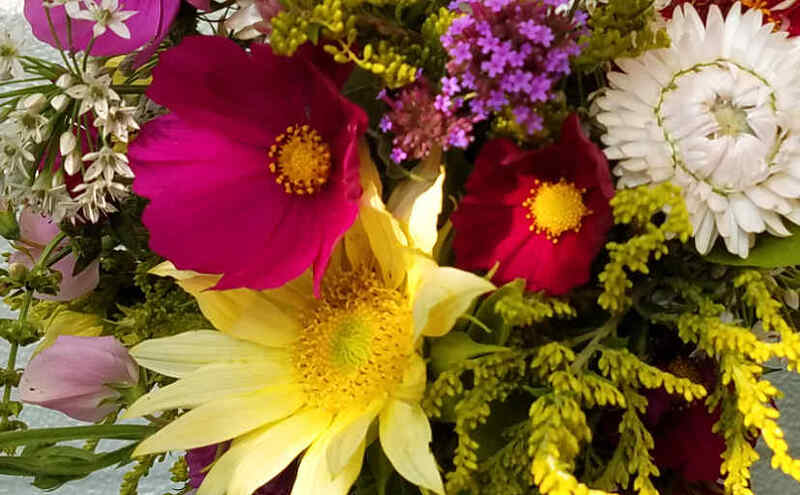 Kira (one of Teresa’s daughters) grows over 75 varieties of flowers and creates designer bouquets for weddings and other special occasions, as well as for her CSA and farmers market customers. Our blog is a rich resource of farm experiences and food information written by Brockman family members. You can browse, or search for a specific vegetable, recipe, or author using the search box or tabs. Happy reading and eating! Our recipe collection features quick and easy, pure and simple recipes, that utilize the fruits, vegetables, and herbs we grow. This collection of our favorites has grown to nearly 300 recipes, easily searchable by ingredient. 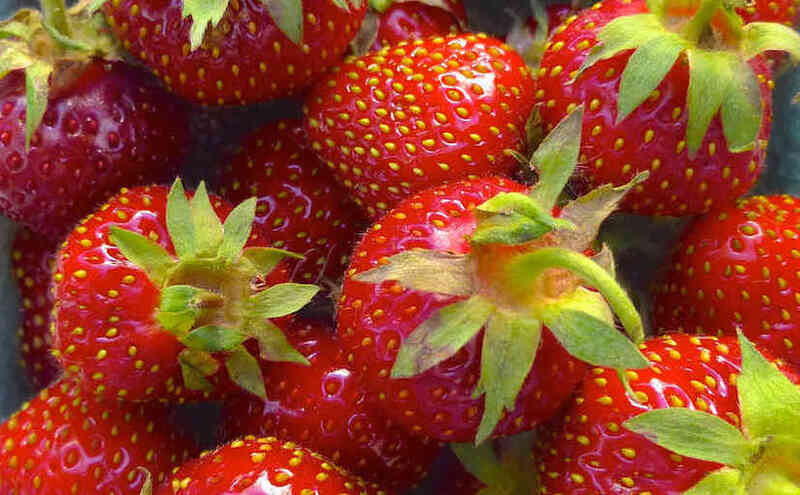 Our plant profiles provide you with inside information about the fruits, vegetables, and herbs we grow, including historical, botanical, and nutritional notes, plus other lore from seed to table. Our farm posts reflect not only intimate details of what’s happening on our farms at a particular time, but are of enduring interest, conveying the realities of farming with nature and producing good food while sustaining the soil for future generations. Get inside information about what's happening on Henry's Farm, Teresa's Farms and Jill's Red Barn Farm. Plus get a sneak preview of what's coming to the Evanston Market (including specials! ), and suggestions for what to do with all the bounty! 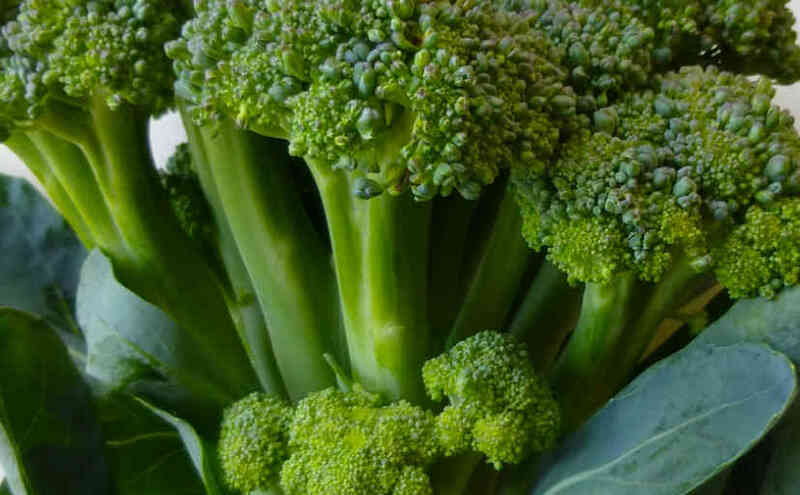 Find out which vegetables are coming in each week's CSA share, and get tips on what to do with them--including our favorite quick and easy recipes. You'll also get scientific, philosophical, and literary musings about what's happening on the farm. Writing, along with farming, runs in the Brockman family. Click the tabs under our photo below to read some of our work. You’ll also find our writings in our weekly Food & Farm Notes: they’re written by Terra and sometimes include Teresa’s, Henry’s, and Aozora’s writings as well. Terra has always been an avid reader and writer. After getting degrees in English Literature, working at The Daily Yomiuri newspaper in Japan, and working for publishers in New York City, she moved back to central Illinois. Soon she started writing the weekly Food & Farm Notes, and then published her James Beard nominated book, The Seasons on Henry’s Farm. She continues to write about food, farm, and related issues — click on over for a sampling. Henry and Hiroko's daughter has been writing for most of her life. She began contributing to the weekly Food & Farm Notes when she was in junior high, and collected some of her farm writings from the summer before she went to college in a chapbook, “The Happiness of Dirt” (2011). Her second chapbook, “Memory of a Girl” (2016), was part of her B.A. in creative writing from Northwestern University. She is currently pursuing an MFA at the University of Michigan Helen Zell Writers’ Program. As a contributor to the weekly Food & Farm Notes, Teresa has written about everything from the dastardly spotted wing drosophila, to capturing a swarm of honey bees, to all the different ways you can enjoy aronia berries, and the 70-some other fruits she grows. When she's not farming or writing, you will find her making beautiful quilts. Henry writes on topics dear to him such as how and why organic farming works, why stressed plants taste better and are more nutritious than coddled ones, and how our changed climate makes it imperative that consumers support biodiverse farmers practicing resilient, restorative agriculture. 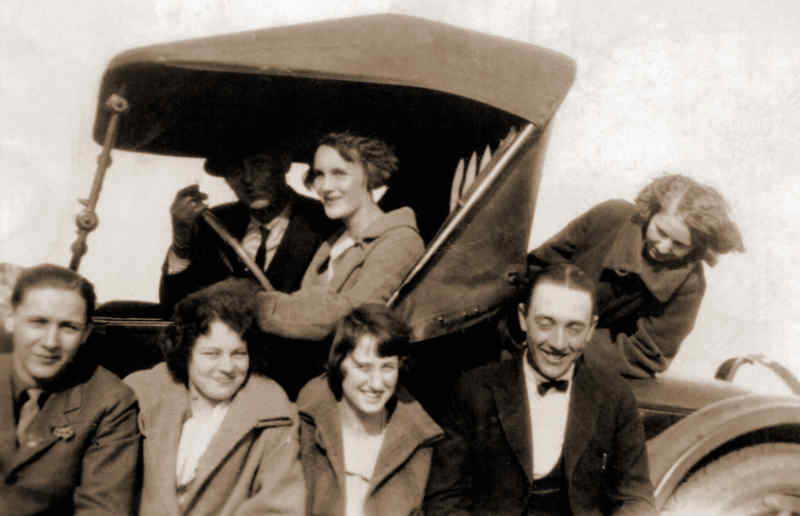 Our grandparents Fred and Henrietta Brockman (lower left) farmed a quarter-section in east-central Illinois, growing fruits, vegetables, grains, pastures, and animals when “local organic” was the only kind of food there was. We are proud to continue in their footsteps. 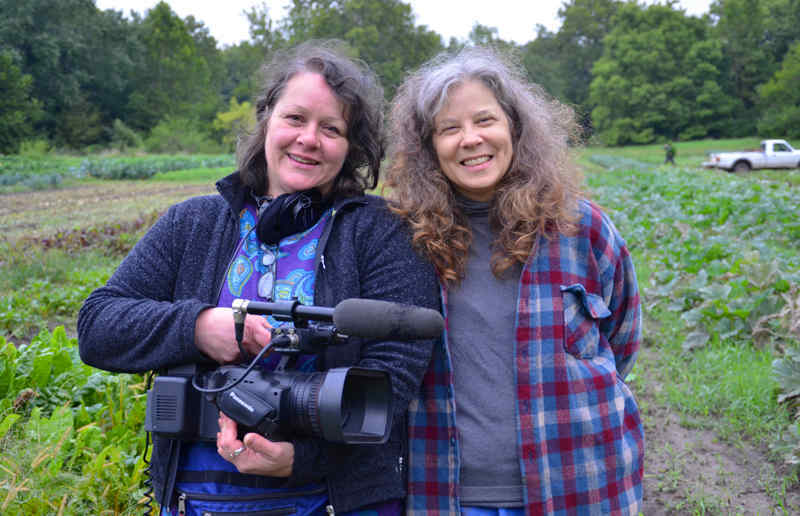 In 2015, filmmaker Ines Sommer began documenting Henry and his family as they faced personal, professional, and global changes impacting their ability to farm and feed people. The film will be at festivals in 2019 and in general release soon thereafter. Jill (Henry, Teresa and Terra's sister) is mill manager of The Mill at Janie’s Farm, owned and operated by the Wilken family who transitioned Red Barn Farm to organic production. 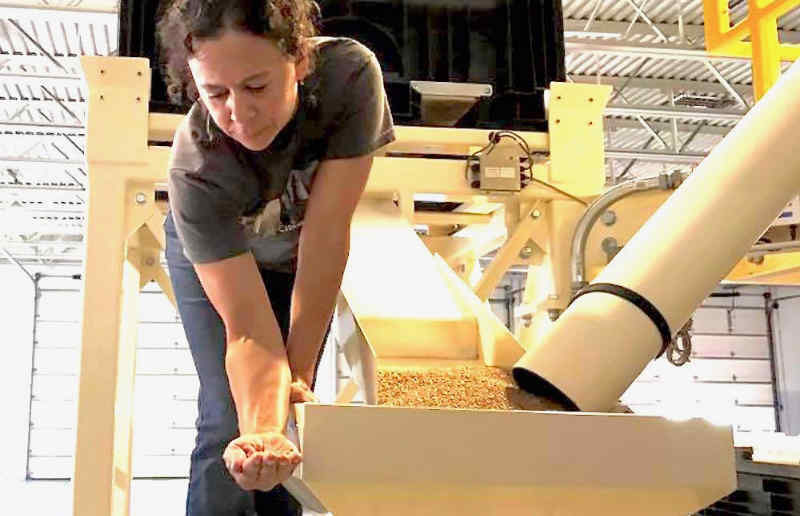 She stonemills many local organic grains into flour for home and professional use.